Maryland's New Foam Ban–What You Need to Know! Maryland is one step closer to being the first state in the country to ban polystyrene foam food containers and cups. With this small, yet, significant step towards making our world a safer place to live, Maryland is now at the forefront of the battle against single-use plastic containers. According to an article by WBALTV, the House of Delegates finally passed the bill to ban polystyrene foam food-related products on Tuesday. This victory was the third attempt at getting the bill passed and comes just one week after the Maryland Senate went ahead and approved their own version of the legislation. While some cities in Maryland, including Baltimore, jumped on the foam ban early, the remainder of Marylanders will notice some big changes in the next year. Here’s what residents need to know about the bill. Items on the foam ban list include take-out containers, lunch trays, egg cartons, cups, bowls, and any other food/drink container made from #6 EPS, foam, and expanded polystyrene. Although it would be best for our environment if all polystyrene foam products disappeared, the bill passed on Tuesday only applies to specific food-related products. Polystyrene foam that is used to package raw meat will not be included. Other polystyrene foam products outside of the food industry, such as medical trays and packaging materials, will still be allowed. Banned food containers coming in from out-of-state are also not included in the ban. The state bill would officially go into effect on July 1, 2020, if signed by Republican Gov. Larry Hogan. All companies and institutions affected would be given a 1-year grace period before penalties for violations were given. After that time, anyone found still using the products on the banned list will be issued $250 fines. According to the WBALTV article, the Maryland Retailer Association and other businesses who heavily rely on the use of polystyrene foam products were prominent opposers of the bill. 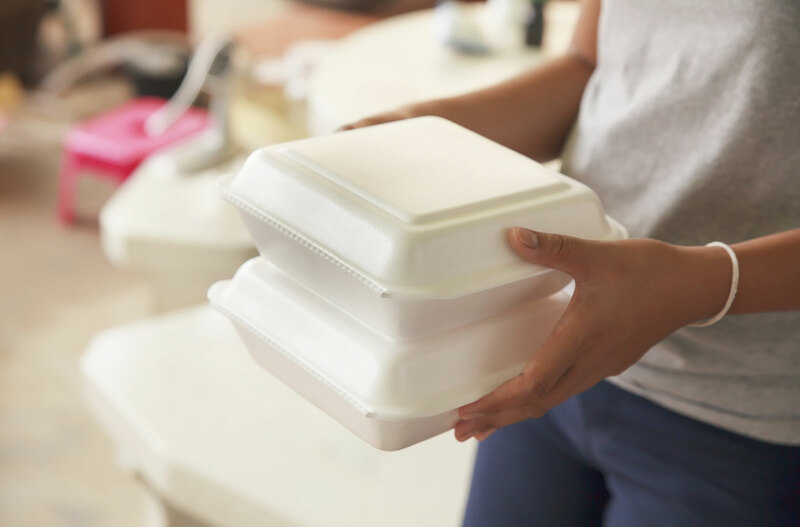 In a 2017 report, the association stated that consumers could pay up to $34.9 million more in packaging costs per year if they were forced to ban the use of polystyrene foam products. Supporters of the bill, however, are seeing these costs as a small price to pay for the conservation of the environment and the perseveration of consumer health. When people eat and drink out of polystyrene foam food containers, they are putting themselves at risk of consuming styrene when it leaches into their food. After these products are discarded, the chemicals can then leak into the ocean as well. When these products break and crumble, local wildlife eats the polystyrene foam thinking it’s food. This not only harms the animals but can also pose the risk of humans re-ingesting traces of polystyrene foam if they are fans of eating local seafood. Even just making polystyrene foam can be hazardous. The Green Living article highlights that several other toxins used in the manufacturing process of polystyrene foam products put the health of workers and nearby communities at serious risk. Benzene and dioxins, ingredients both known for causing life-threatening illnesses, can pollute the air and cause devastating consequences to our environment. Lastly, expanded polystyrene is a non-biodegradable material. Studies have found that some polystyrene foam products require more than a million years to decompose. The density and contamination of these products make it impossible to recycle cost-effectively and in a way that makes it worth the use of energy. The ban on food-related polystyrene foam products is a monumental step towards a greener Maryland and only the beginning. The next step- what do we do with all the leftover, non-recycle foam products! Some people have already started thinking up clever ways for reusing non-recyclable polystyrene foam for crafts or life hacks. Hopefully, more ideas will come out of the woodworks once the ban becomes effective to help keep our communities safer and cleaner in the future. Whether you’ve been hurt in a motor vehicle, pedestrian or work accident due to the negligence of another, you have rights to sue for compensation. 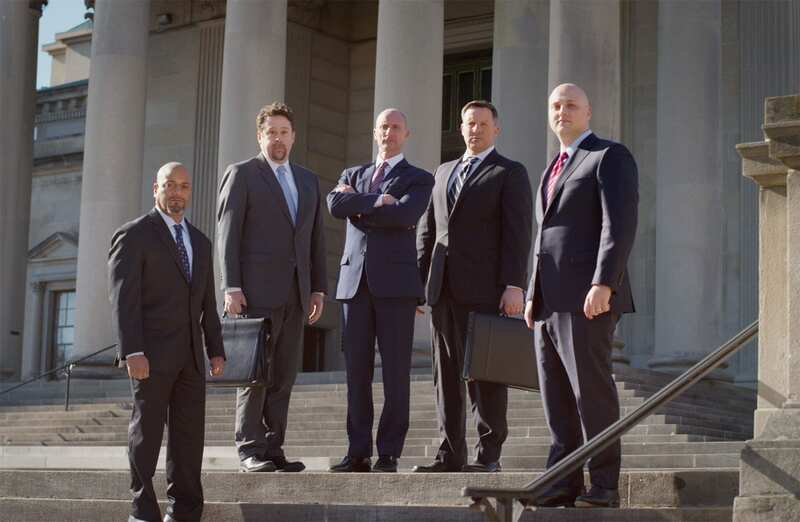 Call our winning legal team for a free case evaluation. Our Maryland accident lawyers have the trial experience to protect your rights and fight for the compensation you need and deserve. Don’t Get Mad...Get Justice! Call 1-800-JUSTICE or fill out an online contact form to get the justice you deserve. You will reach one of our successful accident attorneys to review your case. Our consultation is free and there is no fee unless we win!